It's a pity that the interior will be difficult to see when the build is finished. yeah Robin, only one small hatch above the drivers compartment. 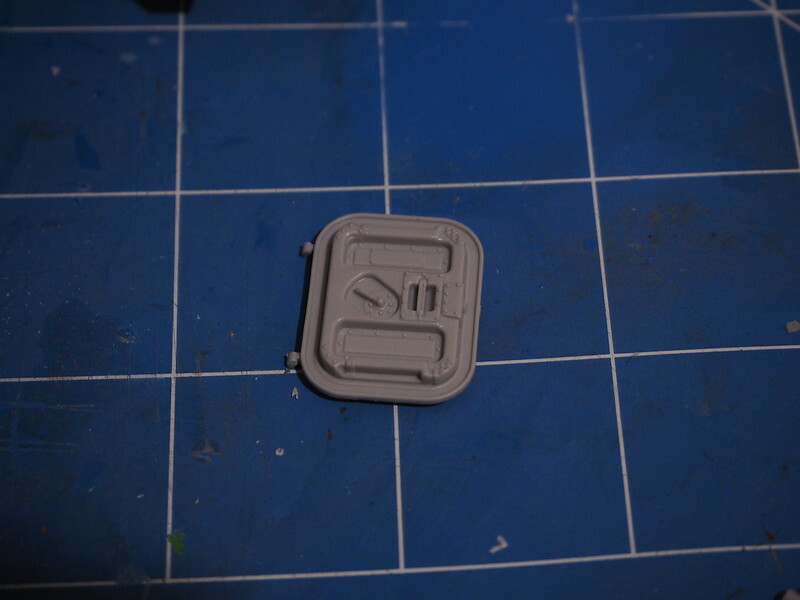 My method to deal with thick attachment points is to cut, side cutters, the sprue a few millimetres away from the actual part and then snip away small bits of the sprue until I have gotten it down to a small piece that can be filed away. 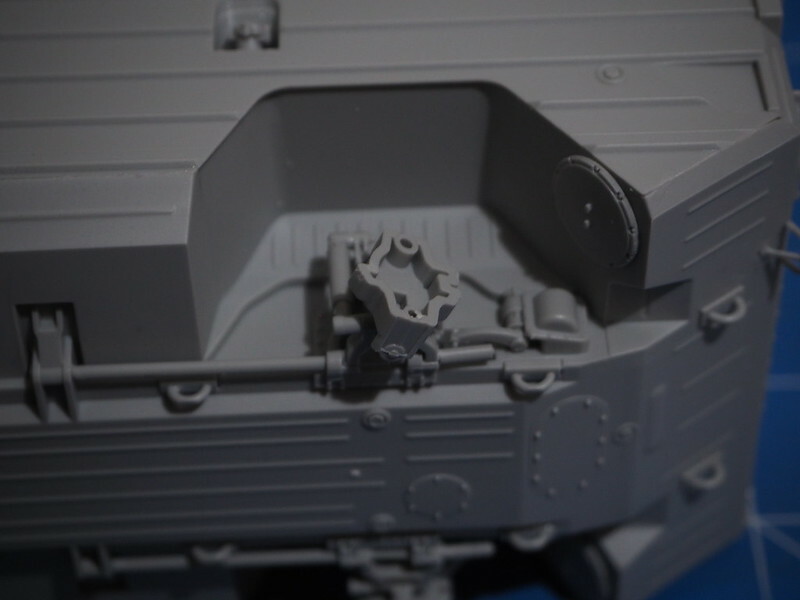 The idea is to always have a larger amount of sprue near the part compared to the bit that I am snipping off. The idea behhind this is that distortion of the plastic due to the cutting action of the side cutters will occur in the bit I am snipping off. The last half mm will need to be filed down. Well, this thing builds up fast. Spent most on the day putting on the zimmerit though. Not my favorite part of the build but it does add character to the vehicle. 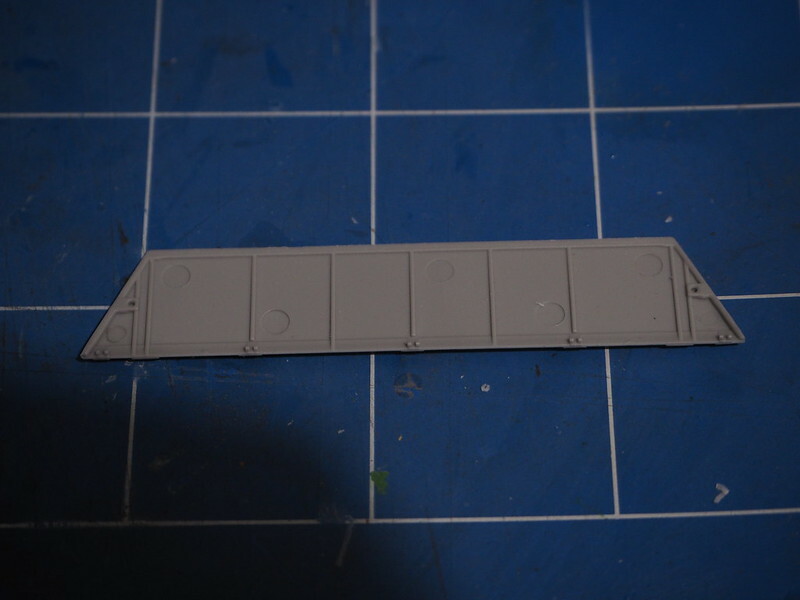 I'm working on the upper hull now, until the PE tracks arrived. This is the progress from the last few days. 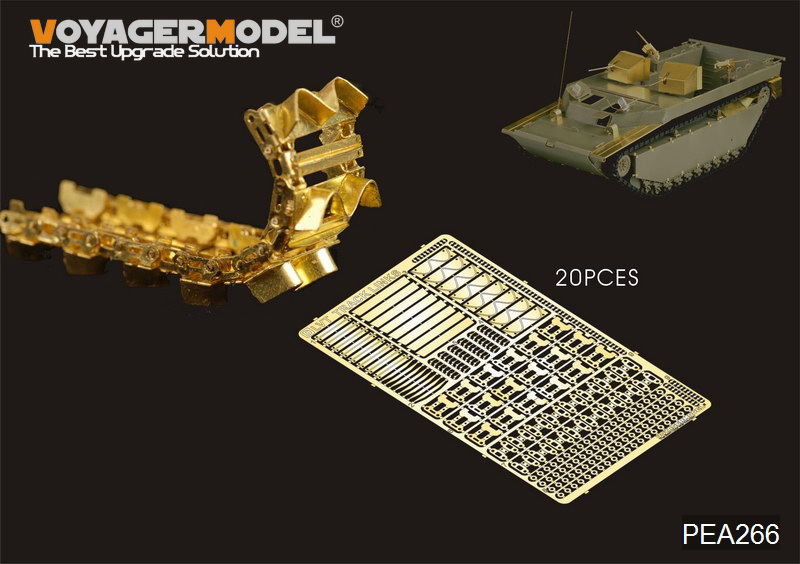 I'll start to build the AA guns and will use metal barrels for the 20 mm guns. 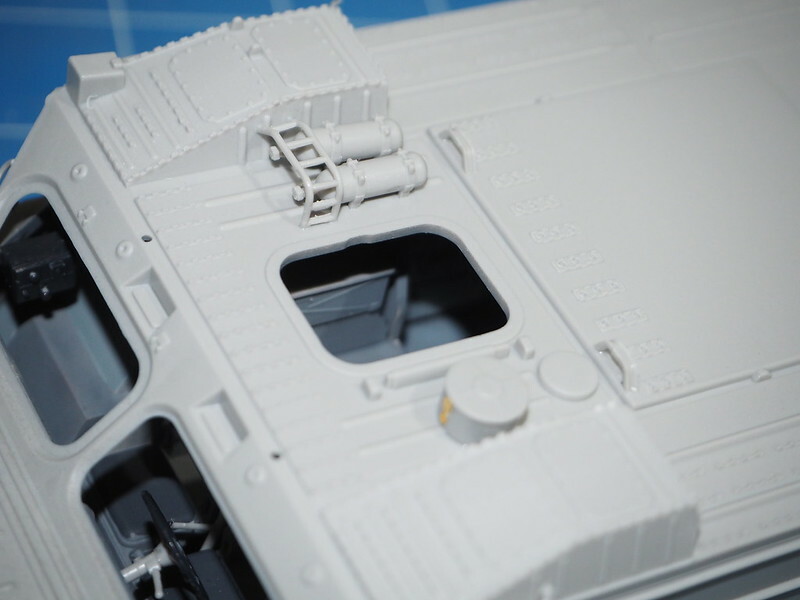 Gun is primed and ready for painting, most likely dark yellow. Looking good guys. Some excellent work happening here. Igor that is really something different. Never knew these guns were also quad mounted. So this is not on your wishlist then ?? The fact that even Voyager don't show a full built set in the box top kind of tells a subtle story. 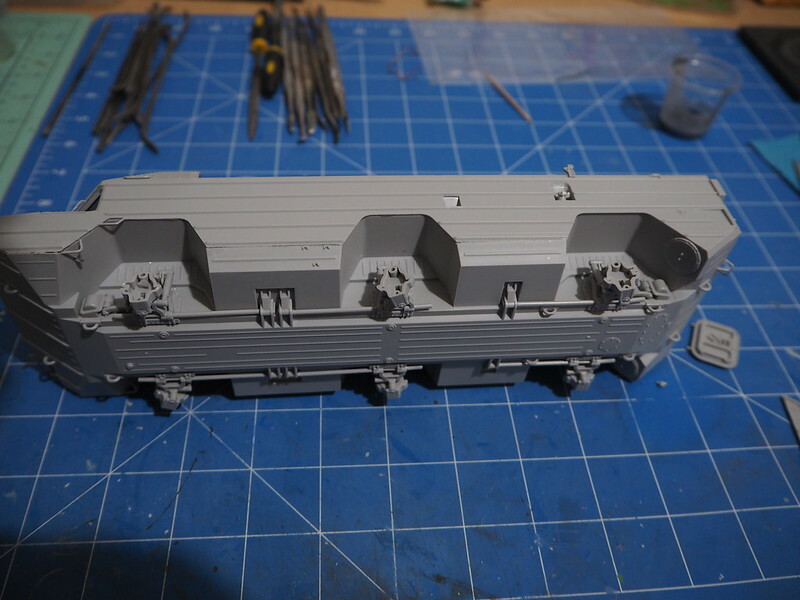 I bought the AFV Club separate track sets .... the ones that were a few sprues short (kinda like me I guess ) but got the extra sprues later - for the kit that is. 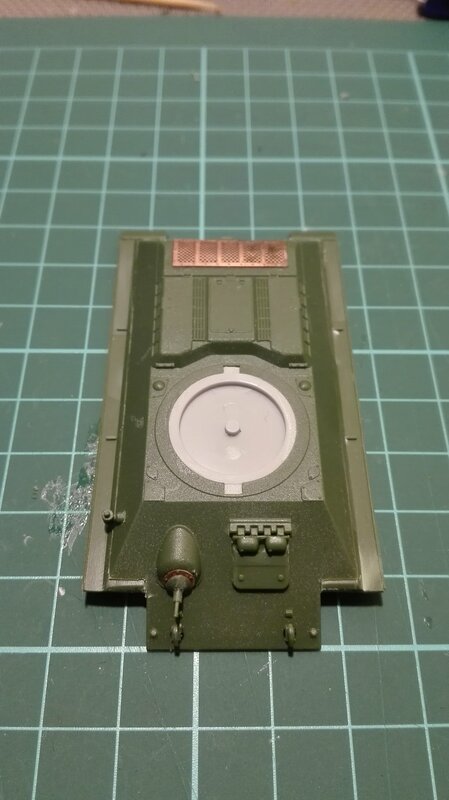 I then used Tamiya OD and painted the wooden platform with various wood looking colours and used the hair brush technique to chip off the OD colour to make it look worn. Wow a fast build Gary. It looks great. I like the weathered wooden floor look. If I may give some feedback, the ammo clips were not made of brass. They were steel and left in a natural state. Maybe a pin wash to separate ach round and give some definition to the ends of the rounds? I spend a good part of the morning studying your truck, Gary. Beautiful model! Would you mind telling me more about your technique? That wooden floor looks amazing. I would really like to attempt something similar for my GAZ truck. It also has wooden deck and I could use some tips. 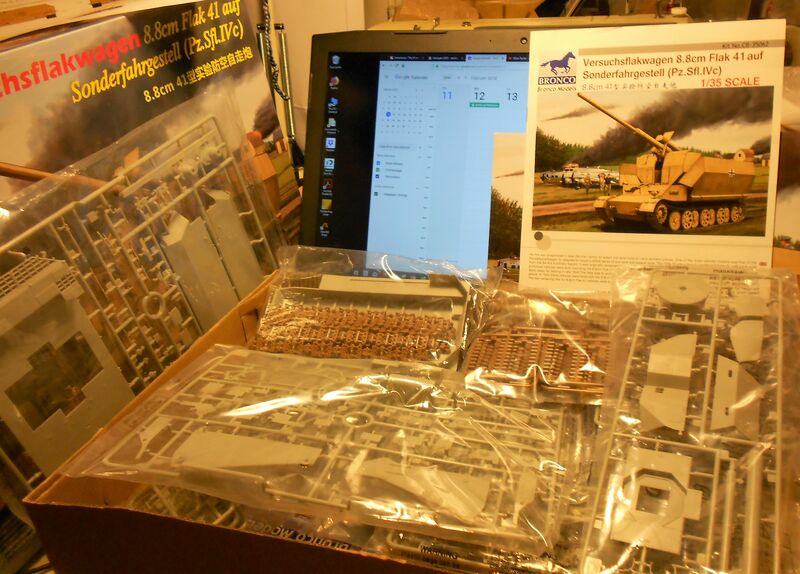 Ill be posting pics of Tamiyas flakvierling in 1/35 for my joining of this. I went to LHS to get some glue and went ahead and walked out with this. ha, yes a play on words that wasnt ment. Fully paid. 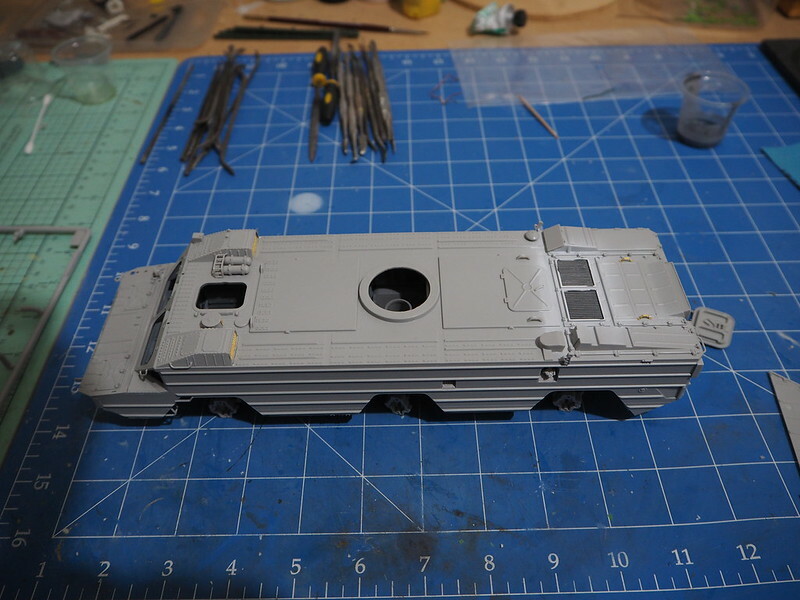 Building a Canadian ADATS on an M113A2 chassis. 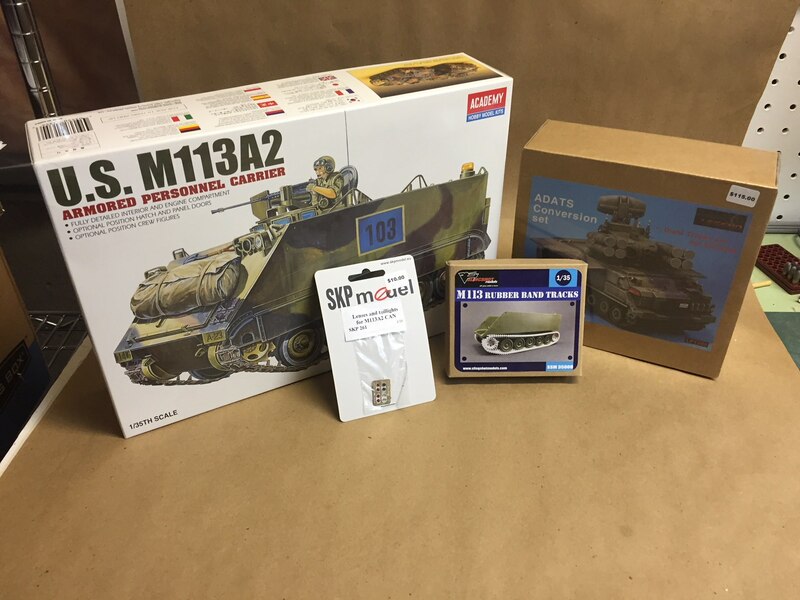 Heres what I am starting with and the real vehicle. I have been busy last couple of days. Gun has been painted, original sight replaced with infra red from Bronco. 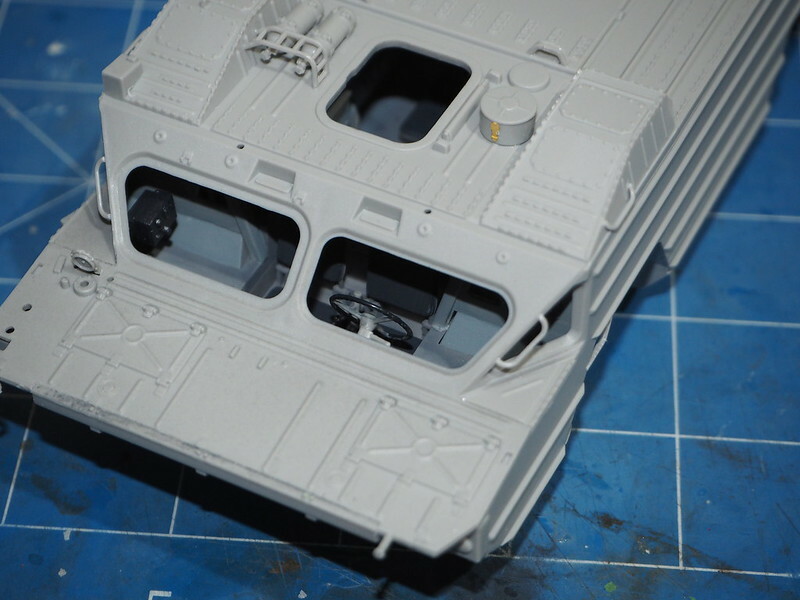 Gun will be placed on ICM panther hull which has been modified by shifting engine compartment forward and gun compartment aft. Images stored at PhotoBucket do not function here. We only see PB's message aboyt third party hosting and that the account can be unlocked for an extortionate sum of cash. I took the liberty of storing copies of the images above (after closing a lot of pop-up advertising) to my account at imgur to make them viewable. This is not part of campaign because it was completed few years ago but I will show it anyway. It will be interesting to watch Paul build it. The campaign has only been running for 19 days and the finish date is the last day of October so there is plenty of time. There are plenty of less complicated kits of AA weapons. 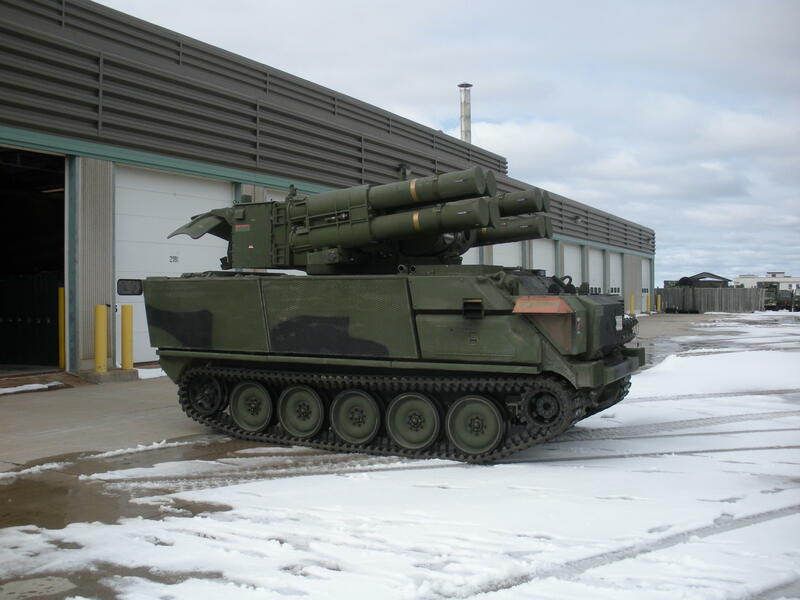 Maybe some towed 20-30 mm weapon? 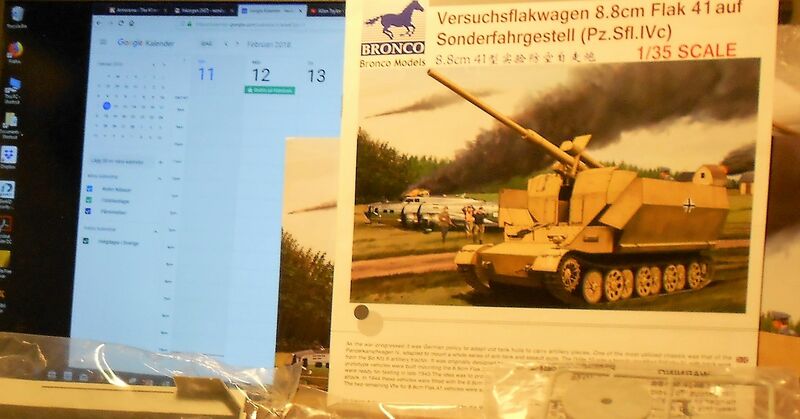 I have committed to building three German 88's and all of them on tracked chassis for three different campaigns (500+, Dragon and the AA campaign).